These playing cards were produced by Winning Moves UK Ltd. under the trademark Waddingtons in 2008. The deck is dedicated to Marvel Heroes. Marvel Worldwide, Inc. (commonly referred to as Marvel Comics) is an American company that publishes comic books and related media. Marvel started in 1939 as Timely Publications (founded by the pulp magazine publisher Martin Goodman) and by the early 1950s had generally become known as Atlas Comics. Marvel’s modern incarnation dates from 1961 – the year that the company launched Fantastic Four and other superhero titles created by Stan Lee, Jack Kirby, Steve Ditko, and many others. Marvel counts among its characters such well-known properties as Spider-Man, the X-Men, the Fantastic Four, Iron Man, the Hulk, Thor, Captain America, and Daredevil; antagonists such as the Green Goblin, Magneto, Doctor Doom, Galactus, Thanos, and the Red Skull. Most of Marvel’s fictional characters operate in a single reality known as the Marvel Universe, also known as Earth-616, with locations that mirror real-life cities such as New York, Los Angeles and Chicago. On August 31, 2009, The Walt Disney Company announced a deal to acquire Marvel Entertainment (Marvel Comics’ parent corporation). The deck: 52 playing cards + 2 identical Jokers + 2 Ad cards. Bridge size. 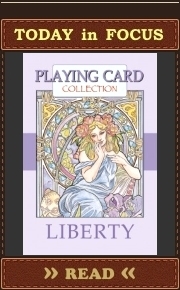 The deck is printed on casino cardboard with smooth finish. The box has a special flap to make it possible to hook the deck. I guess it is made more for shops and their stands than for needs of players or collectors 🙂 The system is quite simple but it should be interesting because boxes (tuck cases) are a part of such collectable items as decks. To be precise, the deck is dedicated to Marvel’s positive heroes and villains (or shell we call them “people with nontraditional views on the world order” 😉 ). Positive heroes are depicted on Hearts and Diamonds (red suits). 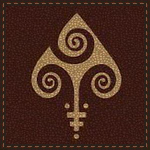 Villains are depicted on Spades and Clubs (black suits). 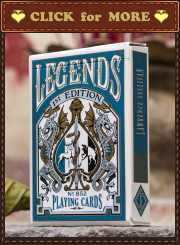 The big “+” of this deck is that its playing cards are all different. 52 different Marvel’s characters and two Jokers. All are number one in this deck 😉 What do you want?! Hero’s pride knows no bounds 🙂 And it can be interpreted only in one way.